The VG-8061u is an advanced Gigabit Ethernet gateway with 1 Gigabit Ethernet WAN port, 4 Gigabit Ethernet LAN ports, 2 FXS ports, and Wi-Fi. 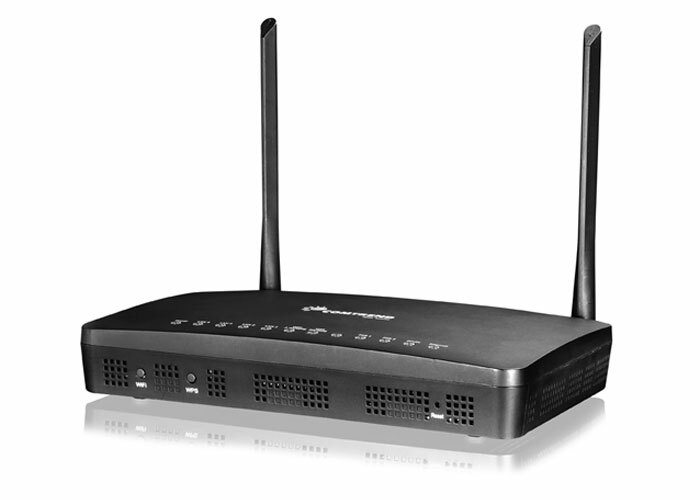 The Wi-Fi not only provides an 802.11n 2T2R 2.4GHz Band which is backward compatible with 802.11b/g but also supports high performance 802.11ac with 3T3R design at 5GHz band. VG-8061u provides powerful functions such as FTTH Voice Gateway device, and remote management utilities (such as TR-069) for network management and maintenance. The VG-8061u provides the best service for broadband subscriber to enjoy a high performance triple play service. SIP, IPSec, H.323, Yahoo messenger, ICQ, RealPlayer, Net2Phone, NetMeeting, MSN, X-box, Microsoft DirectX games etc.